Workforce Solutions South Plains Child Care Services is dedicated to helping area childcare providers deliver quality childcare. 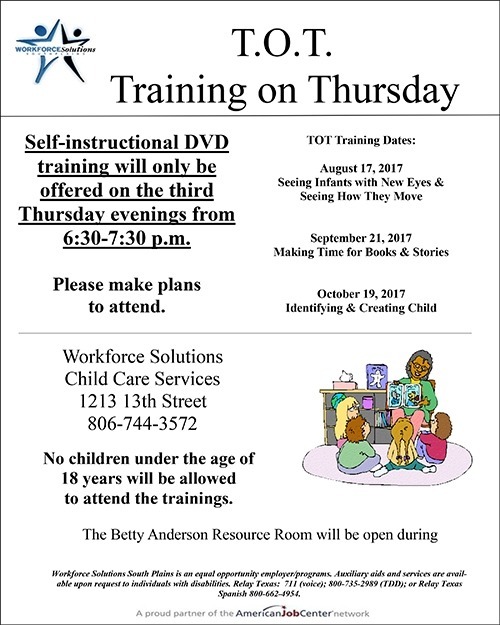 We sponsor numerous trainings for childcare providers throughout the year. For the schedule of upcoming trainings, see our flyer below. Please contact the Child Care Services staff at (806) 744-3572 if you need assistance.